By Megan Graham . Published on February 08, 2019. Fast-casual Mexican restaurant chain Pancheros Mexican Grill has tapped Boulder-Colorado-based Supply as its media agency-of-record following a review. Pancheros previously worked with J.W. Morton. Fitness chain Planet Fitness has named Kansas City, Missouri-based Barkley as its lead agency, working on creative, strategy, experience, design and media planning and buying. The incumbent was Hill Holliday. Scrum50 announced it is the e-commerce agency of record for Mondelēz International. The relationship status was made official after working on projects in 2018 including an Amazon-specific launch of Trident Vibes launch and seasonal programs for Oreo, Sour Patch Kids, and Swedish Fish. Mower is taking over U.S. public relations for the Lufthansa Group, including the brands Lufthansa, Austrian Airlines, SWISS, Eurowings and Brussels Airlines. Reebok has named Deutsch as its new global creative agency after a review. The account was formerly led by Venables Bell & Partners, Adweek reports. Andrew Voss has taken over the new role of design director at Minneapolis-based MDC Partners agency Mono. He was previously a creative at the shop, joining four years ago. Jo Rigby — formerly global head of marketing and new business at Vizeum — has joined MediaCom as its new global head of business development and marketing. She replaces Vincent Rebeix, who is now chief operating officer for MediaCom in France. Winston Binch, chief digital officer at IPG's Deutsch, stepped down last month to work on a new venture, Adweek reported earlier this week. Thomas Ellingson has joined Landor San Francisco as executive director, a new position. He was formerly a partner at strategy, design and editorial firm Godfrey Dadich Partners. Mark Taylor has joined MeringCarson as its chief creative officer. Taylor formerly ran his own firm, Mark Taylor. Volker Doberanzke has been appointed the global president of business operations at Dentsu Aegis Network. He was formerly at UBS Group. Nancy Fletcher, president and CEO of the Out of Home Advertising Association of America, will retire at the end of 2019. She has led the association for nearly three decades. PR agency Hill & Knowlton Strategies has named Austin Taczli as U.S. Director. Taczli was previously at Outcast supporting the Amazon devices business. Christopher Vollmer has joined MediaLink as a managing director. He was formerly global advisory leader for entertainment and media at PwC. 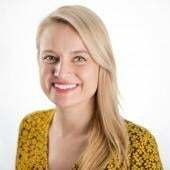 Cutwater has hired Lizzy Ryan, a former media director at Digitas, as its media director.